Online real estate services, website and mobile experiences. "It is simple to use. " It is easy to find listings in your neighborhood or in a certain area. It is easy to look at pictures of the current listings. It is easy to download the app to use it on your mobile device. It is quite hard to navigate in the search boxes when doing from the app/'phone. It sells advertising to Realtors and brokers, so the listing realtor isn't always the one that pops up next to the listing; which is misleading. Still a lag pullling from MLS, so it doesn't always update accordingly. Networking- this tool is effective to get your listings to the public. Nothing. It was easy to signup but impossible to cancel. AGENTS BEWARE- IT'S A TRAP!! Once you signup to advertise in certain areas, your advertising goes into an auto-renew status and the only way to cancel is to contact your specific account representative that you are UNABLE TO CONTACT. Customer Service "cannot" remove the auto-renew so that you can cancel your subscription. We have been trying for MONTHS to take off the auto renew but cannot because the account rep is the ONLY person able to take it off and he ignores MONTHS of phone calls, emails and even pleas for acknowledgement. Contacting Supervisors, Department Heads or even Company Heads is futile, there is no response from ANYONE but Customer Service, which can't actually do anything to help. Advertise with Zillow or ANY other real estate lead generation service. Realtor.com makes it very easy to signup but impossible to cancel. "Find the house of your dreams can be simple"
I used website as a buyer, it is very simple and straightforward to use. It lists all the information needed about a property for sale, it is very detailed and it has all the phone numbers easily accessible for the customer use. As an inexperienced home buyer, this gives you great knowledge and confidence on what you are looking for. Finding a realtor that works with you is not as easy. The profile descriptions could use a little improvement for customers. It is a great application as well, but I would recommend the website for better use. The app is slower and sometimes does not load as easy as in the website. If you are using another app foe buying a home , STOP! This is your one stop deal. It will help you find a great property. Using this as a buyer not a seller. The benefits included finding the house my family really loves for a great affordable price. The website was simple and easy to use, you can browse what is available at the time and continue to see what is added to it on the following days, it is kept up to date unlike the other competitor applications. We switched to this app for that reason, the quality of it was better. Accessibility that my clients have when they are looking at houses without being in my office. It is sometimes difficult for a client to find a house from a list I have given them. Also, just like Zillow and Trulia, status on homes that have been sold don't change quickly enough and that can lead to issues. Realtor.com is one of the very few real estate sites I recommend to clients. It is very 'user friendly' and will help my clients find that perfect home. 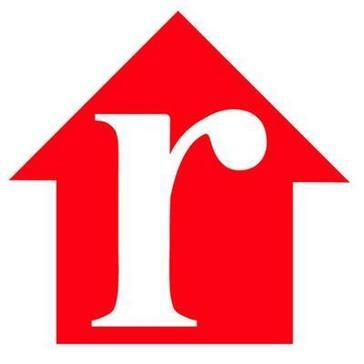 Reator.com is a real time and accurate source for non-Realtors to see us and our properties without worry about the accuracy of the information. When a client calls me that they have seen a home of Realtor.com I know that it is in our MLS and I can trust that the client is seeing the same pictures and details on the property as I am. "Fresh New Homes on the Market"
Their listings are typically very fresh and have the newly listed homes displayed. The filters are very easy to use and you are able to narrow your search based on price range, number of bedrooms and bathrooms, property type (ie. condos, single-family, land). I don't like the fact that the default setting for properties will show the pending and contingent listings as well. As a user, I would rather those not show, unless I choose for those to be seen. With such a competitive market, it's almost pointless to try to go after a home that is already pending and I'd rather focus on other properties. Realtor.com listings seem to be pretty accurate and up-to-date for the most part. They also show price comparisons based on other homes nearby, the median price in the neighborhood, etc. Another nice feature is if you are looking at an off-market property that you like, it gives you suggestions for active listings that are comparable. In addition, they give a fair amount of mortgage tools that are helpful to newer homebuyers, such as a mortgage calculator. For current homeowners, you can submit for an analysis to find out the worth of your home or utilize their refinance calculator as well. Being able to create filters to see homes on the market that fit my parameters. This makes it easier to pinpoint my search and take appropriate next steps. In addition, the fresh data and notifications allows me to stay updated on the market and be quick to jump on a property of interest and get a bit of a headstart against other consumers. I like that most of the leads dont put in fake telephone numbers. Realtor.com and its totally lost for at least this month. Thats why I signed up for only 6 months period. I have 3 duplicates and even a broker who signed on . Take a 6 month contract only to be able to get out if necessary. "Tey are Liars just to put it bluntly!" Promised me 4 leads a month, promised me i would be the only one to get leads on my own listings! All a lie and i have the proof several times over. I have also e-mailed my account manager for the last three weeks and ask him to call me. NO return calls. Then this past week i e-mailed him and asked for a contact for upper level management. It has been 6 days and again nothing! I have proof of everything i just typed. I had my son and wife go on to REALTOR.com and request info on one of my listings and i did get the lead, HOWEVER they also received e-mails & phone calls from other REALTORS about their listings in the general area of my listing. Realtor.com also sent them other homes to preview in the area!! THEY ARE LIARS! I have cancelled my credit card so they can't charge me anymore and i am sure i will have to get my real estate attorney involved before this is all over. This is the 2nd time in the last 10 years that i have tried to do business with them & the last! Run from them if they contact you & if you do any business with them, you had better RECORD the conversation because they will deny they said it!! I have been in the business for over 30 years and these guys are the worst LIARS of all! DO NOT sign up with them! They get your credit card and have you sign up & then won't return your calls or e-mails! "Best 3rd party website for realtors out there"
There are a lot of tools for realtors available at no charge to help with a realtor's business, and options to purchase some tools (including buyer leads) for a reasonable cost. I appreciate the information for the listings seems to be a bit more accurate than the competition, so I will send people to realtor.com for something easy for a potential client to remember. I wish our CRM was able to be more compatible with realtor.com leads, and could set people up on buyer emails more seemlessly. That itself would save me a lot of time in transferring from the realtor.com emails or website to my system. By far the most realtor-friendly, and isn't a competitor. I would pay for leads from realtor.com over the others in a heartbeat. Increased clients through buyer leads, I have not had a chance to utilize all of the free tools that realtor.com offers, that is one goal I have this year. Marketing, success tools, all helpful to making my business stronger. The ease of use and the location finder on maps.As you are Driving by a listing you can find out the price and other important info immediately. I value that i am able to ascertain which schooldistrict is in the area I am looking. Difficult to find listing the listing Agent in all of the information. Contact information also hard to find. there are times when you cannot open the app to proper location. I would recommend that you have this app at the ready as you leave any listing you are showing so that if questioned about the area, a general search would reveal neighborhood information. Immediate pricing on listings as I am driving with a Client so that we can do a comparable on the fly. "Great way to promote your houses and real estate business"
It is a very easy site to use when I am trying to set up my real estate business. It does very well integrating with our local MLS and it is also really nice that it pairs with real satisfied surveys so I can post 3rd party reviews. it is also a very nice website as it tracks all my past sales from the MLS so I dont have to put them in myself which saves lots of time. The integration and user friendly platforms is very nice both for agents and consumers to use the website. It is also nice that clients and prospects are able to see your past sales, which are integrated from the MLS on its own. It can show if the agent is well established in the community and what type of experiences they have. They recently updated the profile section to make it easier for agents to change their profile and to also update things. It is much more user friendly which is very nice. Not a whole lot that I dont like about this site. I think the one down fall is if you post your house for sale on here the lead goes to other agents and not to me even if its my own listing. It would be nice it they would allow that to be directed to the actual listing agent. It is a great way to promote your real estate business. It is a great way to promote your business. "Great platform for getting yourself out there as an early Realtor." I like the ease of setting up your account on REALTOR.com. They make it very easy and it spits out a very nice and professional looking account that clients will be able to find you on. I also like the easy login menu for agents, it makes us use our brain less while acomplishing the same amount of work. I dislike some of its profile design. There are some things, like your listings, that should be displayed above other things. Many people would only come to look at these few things, and don't want to get bored with anything else. The good thing about realtor.com is there isn't much upkeep once you get setup. Most of your listings will automatically transfer over once you set it up correctly. The business benefits provided by realtor.com are getting myself as a realtor known and on various social websites for realtors. "Gets your information all on one page "
It is easy to use and we can insert headlines for more additional information. We can also insert our own website which we like to do to get our clients to our page and see us. I like how we do not have to recreate the entire listing marketing from scratch, it merges over, we do enhance it which is fine because MLS does not allow us to have our website on it. It can misfeed from the MLS and lag which can take longer in our listing process. When it lags it can take a toll on our listing process which can be inconvenient. Some clients get upset that their house isn't on the first page when being searched for and that is something we cannot control. More advertisement. I am unaware of the amount that we pay for realtor.com, but in the past I have worked for a realtor who has received many leads from this software. We can insert our own headlines for more additional information for a client to explore. Realtor.com has been the most outstanding means of connecting buyers with Realtors. I used to work with buyers in the state of Maine and I have now gotten the team I am on in New York to use the service. The look is great and simple. I highly recommend the site to both agents and the public whether you are interested in buying or selling a home. Although I have received many leads through realtor.com, I have found it frustrating with how many of those end up being dead leads. I wish there was a way to filter or know this. Although as realtors we appreciate the assistance that companies like yours give to customers, we do not want to be looked at as unnecessary as they sometimes think they can obtain all the information on their own. Realtor.com has help my team lessen the amount of groundwork needed to obtain leads -- saves us from door knocking and cold calling. I wish we had started with this sooner. "I like the layout of Realtor.com, it's always more updated with the newest listings "
What I like best about Realtor.com is that it's always up to date. There's so many major websites out there that don't get updated as often so you are just looking at properties that are already under contract. I also like the layout of the website. It's always nice to have everything on one page, especially when you are on a cell phone and you don't have to go to numerous pages. To be honest there's nothing that I extremely dislike about Realtor.com. I think it's a lot like recolorado.com's platform but the overall layout of Realtor.com is more modern, which is always nice for someone who is younger. One thing that I do like a little bit more about recolorado's website is that there's less advertisements. Sometimes when you're personally not in the market for yourself all the advertisements can be a little distracting or annoying. I also understand that this is another source of making a profit, so it is what it is. I would highest recommend Realtor.com. It's always up to date and it's better for finding out of state buyers. Business problems that my team is solving is that Realtor.com is bring us out of the state buyers since Realtor.com is known on a more national level then some of the other MLS systems. There apps are also very helpful when you are trying to word remotely or out and about. This app will assist you in your search for homes. You can pull up available listings in any neighborhood. You can also send them to your real estate agent. Great articles on a wide variety of topics concerning real estate issues, broker issues, and an easy to use search and save function. They also have a large assortment of social media tools that brokers can use for free. I do not have complaints against this platform. Sharing topics of interest with my clients and on social media. The lead tracking portal for our agents is the main reason we use this product. The exorbitant cost. The fees well outweigh the product you receive. Unless you want the leads from your brokerage's listings, I would not recommend it. Claiming our listing agent's leads instead of them being sold to other companies. "Adequate place to display listings and search for info"
Clean interface and easy to read and find information on currently listed properties. It's much more comprehensive and accurate than third party sites like Trulia and Zillow, because the info comes directly from the MLSs in each local area or region. That makes it the "go to" app for national real estate listing data. Realtor.com still is behind the times on integrating additional data, like past sales, public records for things like home sales, permits issued, and third party layers like school data, walking scores, nearby amenities, etc., that most buyers and sellers want to see in a real estate website. Realtor.com is slow moving but finally appears to be realizing that it needs to be more aggressive and forward thinking if it's going to be a realistic alternative to third party sites like Zillow. That hopefully will lead to better changes in the coming years, and a more level and competitive playing field that benefits agents as well as buyers and sellers. I use Realtor mostly for searching listings when I'm traveling and want accurate info about what's happening in the market where I am. Searchable website is easy for the public to use. At the public's view, the website gives clear and unbiased information. It does provide a way for the public to search listings. May be a good option if you have an honest representative and don't have much listing activity of your own or if you would like to expand into a different market. Paying ransom for leads on your own, hard earned listings doesn't make much sense. None with Realtor.com. The latest time that I attempted to contract for their services (earlier this year), I was completely shocked by their representative's ignorance and unethical sales tactics. By choosing to not accept their business model, I am saving around $3,000 per year. I will say that Realtor.com is higher on my list than say Zillow or Trulia. However, I'm not a huge fan of websites that go around the realtor for information. Realtors are there for a reason, use them! But if you must do your own research Realtor.com is the most reliable. Sometimes when information in transferred from the MLS things get messed up therefore leading to inaccurate information on the website. It is difficult to stay on top of editing listings on all these different platforms. I don't mind Realtor.com. However, it is difficult to stay on top of all these different sites to make sure that the information they are supplying is an accurate representation of the listings. The main goal of these websites are to get listings in front of potential buyers and agents. Realtors themselves do not use these websites. "Free website, advanced functionality available"
Get an attractive free website with a custom .realtor domain. You can integrate information from other sources such as review from RealSatisfied, tweets from you Twitter feed, and reviews from your FourSquare account. There is additional functionality and marketing tools available on a paid basis, but I have not taken advantage of these tools. If you are a new agent or do not have many closings, your profile might look a little bare and work against you. Register your preferred .realtor domain early before someone else gets it! "Most accurate representation of inventory "
Some clients have stated that they have s difficult time navigating through photos. "Buyers love it, but bad for realtors"
User friendly experience. I like that I can send listing reports to all of my sellers. It pulls information incorrectly from local MLS. AND takes 24 hours to update properly. We find that alot of times, when realtor.com pulls information, it mixes up two listings, even if those two do not belong to the same realtor. Make sure you keep an eye on your listings! Out of all the affiliated websites out there that are syndicated from MLS I find that realtor.com is the most accurate across the board. It is extremely frustrating for agents to plug in info to the MLS only to have it come up differently on websites like trulia and zillow. I don't liek to sue these websites for high end listings because the average user isn't qualified for those listing so it mostly just for them to window shop. This service is great for rentals. It is critical that the ease of syndication from the MLS is HIGHLY accurate. The smallest mistake sends sellers into a downward spiral and takes more time from realtors. Getting rentals out there with as little facetime as necessary is key. Rentals take up so much time with very little ROI. This website like many others like it is very easy to use. This particular website pulls information you have on your MLS resulting in accurate information. Sometimes it redirects me to a different website for no reason. I believe it’s just a glitch and j have reported it to the company. This allows me to reach clients that are not local or are busy and don’t have time to sit and talk. "Don’t waste your money "
Fake leads and not enough leads. Do your own marketing and save your money. "Good Way To Reach Tenants"
You are able to reach a lot of potential tenants and market out to many different markets. Their rent market analysis, it can be off many times and effects us when a tenant is looking at our listing. We are able to reach a lot of potential tenants in the markets that we have rentals in. Because of that we are able to keep occupancy high. It’s easy to use and has more of a professional look to it. Sometimes the datat is inaccurate but not as much as Zillow. I like how you can set up your own account and market your page. Our office recently signed on with Realtor.com Pro and Five Street and now are guaranteed no one will get leads from our listings except us. Even if an agent is purchasing leads in an area, they will not receive the ones from ours. It is quite expensive and Five Street is no different than any of the other CRM's out there. No longer losing leads on personal listings. The amount of leads individual agents are now receiving has increased tremendously. "The site to search for homes"
This site is get information from MLS site & it gets refreshed every day with new info. It does not have all the information you need but, it will give you a starting point to see if the property works for you or not. It is a great source for general public to look for homes. It help us eliminate the properties that will not fit when buyers go online & search. You only show homes that could be the right home for them. This company has done a great job at establishing itself as a reputable website for customers to research real estate and be connected with dependable agents. For a while they were slacking in marketing and zillow took a big share of the market. This is a great way to protect and represent your own listings. The lead generation services are phenomenal. It has a clean and easy to navigate website for customers. I honestly think this is one of the worst websites that I use - the issue is there is no better alternative at the moment. This site is fine when it's working properly, and that is a rare occasion. Always laggy, the UX design is terrible and FORGET trying to download the app on your phone. "A good site, but not used as much as the other bigger competitors "
It is a solid site, great layout and great way for a buyer to search for a home. Updates slowly compared to what the actual market is doing. Also isn't used as much as other sites like zillow and trulia. Not a bad site, just doesn't have the legs that Zillow and Trulia have. The Realtor.com mobile app is very user friendly and easy to you. It is easy to search by location, zip code, and you can even search by homes in the school zone you want your children to go to. You can filter your results by property type, size, price, and location. It will also save your most recent searches. There are features that allow you to share the property on Facebook or even by text message. When searching by school location it will automatically default to where you are currently located so it is challenging to find the school location if you are trying to move a great distance away. Realtor.com is a user friendly easy to use program for both realtors and people looking to by a home or property. One of the biggest advantages to the mobile app is that you can use it on the go. You are not tied down to a computer or to an internet connection. Realtor.com is far and away the hub for Realtors. It contains timely, pertinent information that Realtors need to access quickly and efficiently. Sometimes the mobile site has a bit of trouble connecting, but that could have more to do with the strength of my signal than the actual site itself; I've found it tends to vary quite a bit. I love the site and I have found it to be a reliable, helpful resource. I especially like the MLS integration. As I stated above, at times there are few issues concerning mobile connectivity, but otherwise it's a great site.Otherwise, there are very few problems in my day-to-day use. I tend to use it to do a bit of research and see if anyone else has encountered a similar problem, or how to be proactive be a problem presents itself. "Realtor.com for your real estate needs"
What I like best about realtor.com is the rental category. As long as I have used realtor.com, I have not found anything I dislike. I can use realtor.com to assist others in locating a home that meets their needs for rental or purchase. The filters are quite beneficial to narrow the results to find property that better suits the customers' request. "Realtor.com is great for real estate sales, but needs improvements for rentals." It has a huge database for home sales information, seems very up to date with NWMLS. It does put enough emphasis into what is happening in the rental market, seems to be more involved with real estate sales. I have been able to portray accurate home values to my clientele that are deciding between renting or selling their homes. "One of the best sites out there"
This site boasts a great and smooth UI, with quality filters and easy navigation. When searching for a combination of rentals and purchases, the pricing filters tend to conflict and limit the search results. The ability to search for properties that are either for sale or for rent in a convenient location. A one stop shop. It's a great way to collect new potential leads for your business. The prices are getting outrageous for the platform. Pricing is continue to increase while quality of leads is continuing to decrease. It's an easy way to generate leads for your business. "To truly be a real estate agent "
Realtor.com is a beneficial tool for all real estate agents which supports all our success. Realtor.com is extremely important and vebef5 to the real estate industry. The website offers tools in marketing to support our success. I love that Realtor.com is accurate and reliable. Outside my information found in MLS, Realtor.com is my first go-to site. Website has the most current listings and status available from all participating MLS associations in the country. It has easy to use search features also. Unfortunately my Realtor dues help to support this extensive website. Dues are fairly expensive for a commission only based business! Best available listings data on the internet! Need current data for my buyers. I always tell them to go to this website first before any others. "Your "go to" for the most up-to-date real estate listings!" It offers the most up-to-date listing data, direct from Realtor MLS sites, updating solds and expireds, etc far better than the other national sites. It doesn't offer the "bells and whistles" that attract buyers and sellers to Zillow, etc. Helping clients find homes, this offers them a way to search on their own, research properties and narrow down what their likes, dislikes and properties they'd like to preview with me. "Realtor.com is the industry standard"
Realtor.com is the industry standard among buyers and sellers. It's the first destination for the homebuyer, making it easy to reach your target market. It's easy for consumers to save their favorite listings, compare listings, search on a map, get neighborhood information and much more. The maps sometimes take a long time to load, and at times searches don't pull up the results you would expect. Listings are front and center on realtor.com, making sellers and buyers happy. "Great customer service if you're paying for it!" The leads from realtor.com are people who are intentionally seeking out realtors, so that makes conversion easier. When there are system wide bugs, they are not proactive about letting people know about the issue, and it can take months to solve it. Be selective about the zip codes in which you are purchasing leads. Be aware that rates may change from year to year. Leads, reviews, profile, agent featured on listings. Realtor.com is an easy platform to view various MLS listings across the board from different brokerages. From time to time, the information was inaccurate and not updated in realtime. Realtor.com is a portal for people to do their research, if you need accurate information reach out to your local real estate board. Its Realtor.com doesn't getting more exposure than Realtor. Not cheap, have to be a Realtor to be able to advertise. Real-time updates. I like that it is associated with the National Assoc. of Realtors. I don't have much to complain about when it comes to this site.....It is streamlined and easy-to-use. Good site to recommend to clients and friends. Esp. when I want to recommend a generic site rather than pressuring them to use our RE/MAX site. This site updates quickly, and has accurate information for people who use it. The quality of leads from this site is very high. It is not easy to edit details of the listing once it has syndicated. This site has provided us with more converted leads than any other Real Estate website that we are members of. * We monitor all Realtor.com reviews to prevent fraudulent reviews and keep review quality high. We do not post reviews by company employees or direct competitors. Validated reviews require the user to submit a screenshot of the product containing their user ID, in order to verify a user is an actual user of the product. Hi there! Are you looking to implement a solution like Realtor.com?